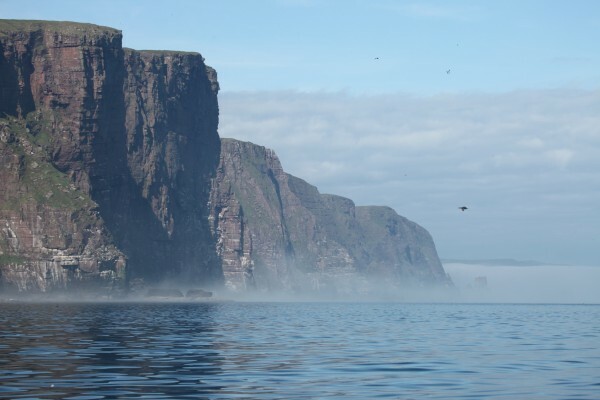 Cape Wrath Air Weapons and Naval Bombardment Range in the far North West of Scotland is one of the MOD’s hidden treasures; it is a wild – often inhospitable – wilderness which from an environmental perspective has almost every statutory environmental designation in existence. It is a RAMSAR Site, or in other words a wetland of international importance, a Site Of Special Scientific Interest, a Special Area of Conservation and an Special Protection Area. The site is an undulating expanse of rocks, mosses, acidic pools, and peat bogs, and home to an abundance of species. At 58º north, closer to the Arctic Circle than London, it is the most northerly point of the UK mainland and really shows the breadth of work we do in DIO. I’m Major Tony Crease. I’m a native Scot and since retiring from the Royal Scots Dragoon Guards I’ve been working south of the border as Deputy Commander for the northern region of the Training Estate, based at Catterick. 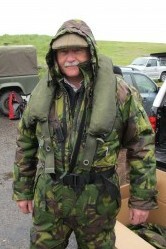 As a keen naturalist one of the best parts of my role is leading Operation Auk. 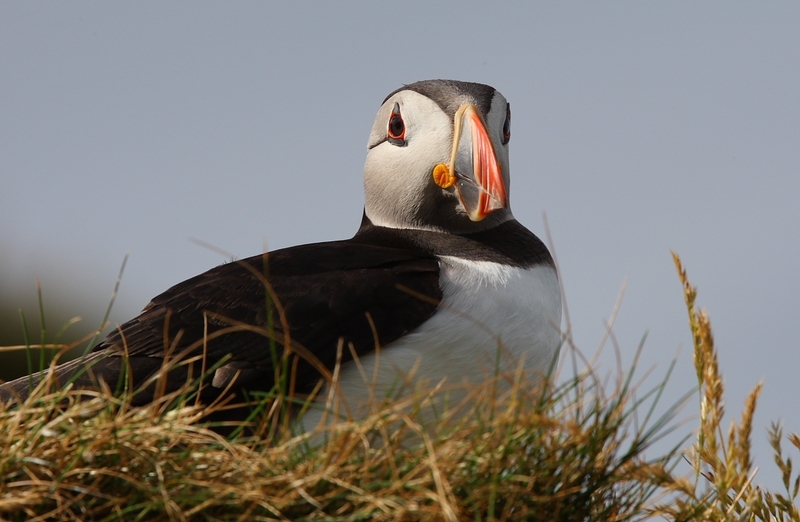 Cape Wrath is now part of DIO and Operation Auk allows the monitoring of the seabird population which in turn permits MOD to discharge its statutory duty under EU and UK legislation protecting designated habitats. 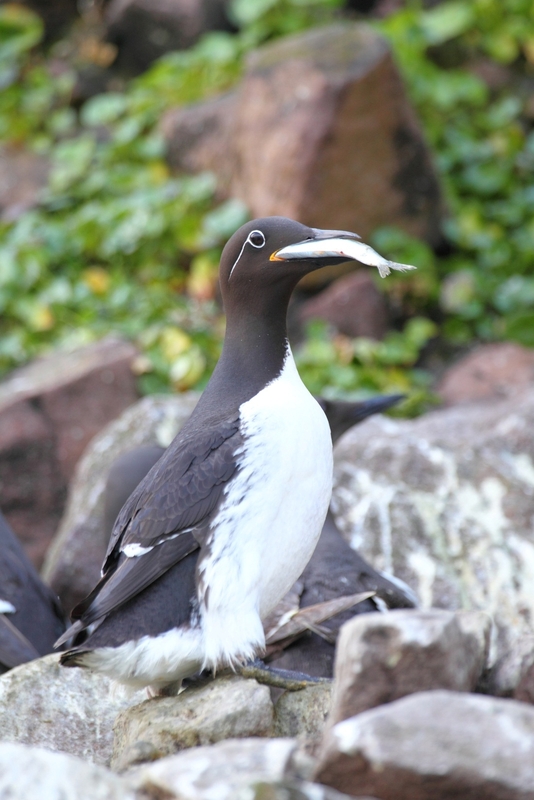 If you’re wondering, ‘Auk’ is the sea bird family which includes puffins and guillemots. 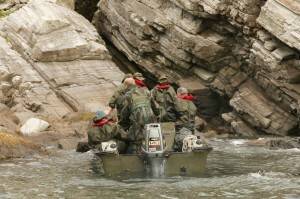 For 22 years, Operation Auk has carried out an annual environmental assessment on the range. It looks at any accidental damage caused by military activity there. In addition, we explore the breeding success or otherwise of the extensive bird population by attaching rings to birds, which allows us to track them. It also keeps the Armed Forces in the public eye and satisfies the concerns of local inhabitants, who see the wildlife attraction in the area as a vital element of their economy during the short summer months. This in turn benefits the military customers who are viewed much more as friend rather than foe in the County of Sutherland. Though I lead the team, participants include bird ringers from the military community, as well as Civil Servants and some civilian specialists. 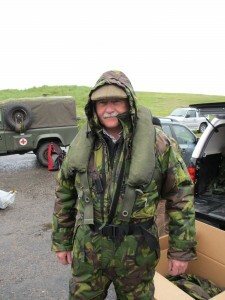 Members of the three military ornithological societies have also assisted on many occasions. At the hub of it all are the boat crews from 43 Commando Fleet Patrol Group at Faslane, who provide Rigid Raider craft to enable access from the sea to Clo Mhor and various other inaccessible stacks and boulder fields along this dangerous coastline. Over the years, the operation has not been without its moments, and I’ve certainly encountered several adrenalin-pumping situations. There is no doubt that these boats and crews have been pivotal in what has been achieved. They have allowed MOD to adhere to the Nature Conservation (Scotland) Act 2004 and our Joint Declaration of Interest with Scottish Natural Heritage. On our annual visits, we stay in the Range Control buildings at Faraid Head and from there we travel widely on land and on the sea, counting and ringing the birds in the major colonies. To date, we’ve ringed nearly 50,000 birds, providing much needed data on the productivity and survivability of the birds during a period of significant decline. Placing an individually numbered ring on the legs of these birds produces information that joins up the dots of the big migratory puzzle. During the serious storms we had in early 2014, many birds were washed up dead on beaches around the UK and north west France. Some of these birds were immediately identified as ours. It is both rewarding and intriguing to learn how these birds subsequently dispersed. Recoveries have been recorded from north western France, the South West coast of UK, northern Europe, Iceland, the Faroe Islands, Norway and Sweden. Additional information is gleaned on how long each bird lives, and also on their preferred migration routes. 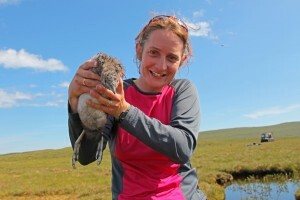 Many would have been ringed originally as chicks and it is really rewarding to hear news of those that have survived. Our own oldest recovered seabirds are Fulmars and Storm Petrels both at around 26 years. In the last 20 years, various factors have contributed to a reduction in numbers across almost all species of birds at Cape Wrath. The reasons for this are thought to be a diminished food source and to some degree climate change. The two are inextricably linked and the effect has been catastrophic in some areas. However, I’m pleased to say that with the milder spring weather, the results this year have been the best for 15 years and were particularly encouraging. During this year’s trip, we worked with researchers from the RSPB who were on a long-term geo-tagging project fitting data loggers to the backs of Kittiwakes. The downside to this process is that the birds and devices have to be retrieved some days later in order to decode them – which means capturing the same bird again! As you can no doubt imagine, this is not always so easy although it can be done, and we found from those we recaptured that the Kittiwake adults had flown up to 250 miles daily in some cases simply to collect one gut-full of whitebait to pass to their offspring. Information collected from the work done on Operation Auk will continue to provide data for many years to come. I have said many times that it has been a privilege to be involved in the challenge and excitement of this wild and captivating place.